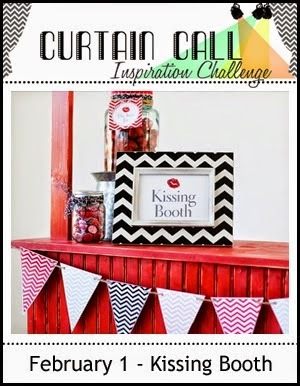 Thank you so much for joining us for the Curtain Call Inspiration Challenge - Kissing Booth! It seems like an appropriate day to announce the winners of our Kissing Booth challenge! "Jenny's SWAK lips with hugs & kisses die-cut words are irresistible! LOVE the strip of contrasting black/white stripe on the edge of the card front and just a hint of sequin sparkles!" "Totally love Jenny's sentiment and those hot pink lips." "Love Stephanie's beautiful CAS design...makes the fun shaker element pop!" 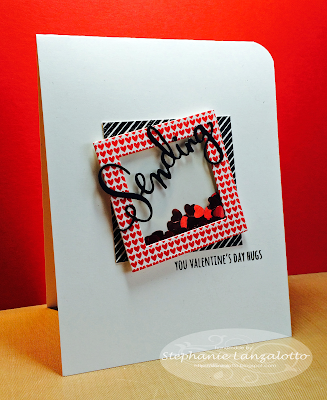 "Adore the cute framed shaker with the sentiment across it and the wonderful use of the colours on Stephanie's card." "Cindy's shaker card is so pretty. Love the heart shape die-cut out of the red glitter stock. The chevron background paper is the perfect backdrop." 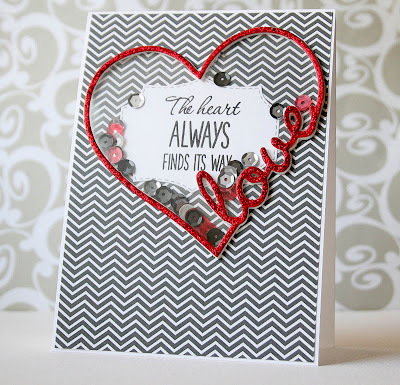 "I love the smaller sale chevron paper in the background of Cindy's card. Her fun heart shaped shaker is just fabulous!!!!" 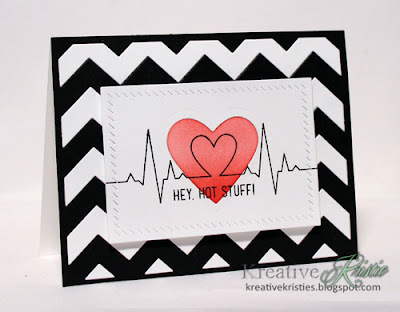 "I love everything about Kristie's card - the bold chevron background, the fun image and the placement of the solid heart cut behind the heart-shaped heartbeat!" "Kristie captured the inspiration perfectly with the chevron background and romantic heartbeat monitor! Fun play on the theme!" "I love Joyce's card with the white space and the little bit of texture on the card base. 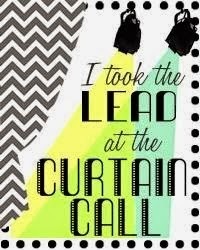 Also that image is so fun with the little pops of color." 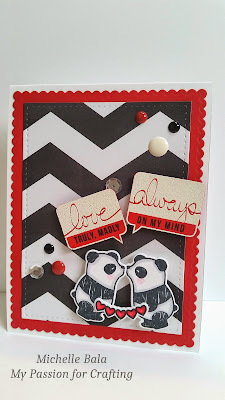 "Michelle's panda card is over the top adorable! The added enamel dots and sequins...perfect finishing touches." Congrats all you stars. Your work is stunning. Congratulations to Jenny! What an awesome card! 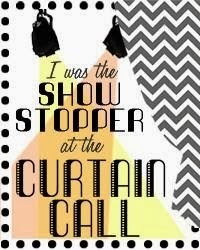 I am so honored to have had my card chosen as a show stopper and also to be in the company of these wonderful crafters. Thank you! Congrats to you all, fantastic cards! Thank you SO very much for choosing my card!!! So nice!! Thank you Ladies!!! Such an honor!